I vaguely remember being excited whenever the ice cream truck rolled through our neighbourhood when I was boy. Looking back, it's a nostalgic moment from my youth, and almost unheard of in this day and age. Which kinda makes sense, because as an adult, there's something unsettling about the canned, cheery music and a grown man luring children to his vehicle with the promise of tasty treats. 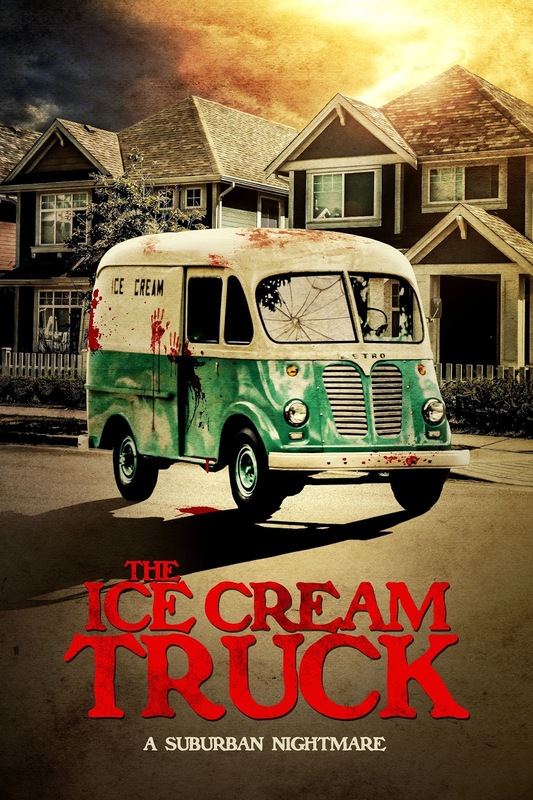 So it's no surprise someone made a horror movie called The Ice Cream Truck, which features said ice cream truck prowling a suburban neighbourhood, up to who knows what. Probably murder, though. Spoiler alert. The flick hits VOD on Friday, but we've scored a clip featuring lead actress Deanna Russo (Being Human, Gossip Girl) and the titular ice cream truck. Check it out. OK, so it doesn't show a lot, but that is one creepy ice cream truck. And I'm sure Mary will get more than she bargained for when she goes to get a cone or two. No sexual innuendo intended. What say you, Basementites? Going to give The Ice Cream Truck a visit? Meanwhile, scope out the official poster.